Make the most of the technologies around you. Samsung mobiles are the one to give you high-end experience with their power-packed features and incredible designs. The latest Samsung phones like S8, will take you to the whole new dimension with their authentic and unique designs. The world is just a fingertip away with the 4G Samsung mobiles. Infibeam is decked up a wide range collection of Samsung mobiles. Check it out! Innovation never takes a pause at the research & development wing of Samsung mobile. The brand that is leading mobile communication revolution in India, has earned reputation as the most adorable smartphone brand in India. Samsung mobiles are now leaders in the smartphone world. With the growing competition, the brand is all set to maintain its top position with its remarkable and advanced models. People are going gaga over the 4G support mobiles, so the Samsung 4G mobiles are sure to grab your attention with their advanced and latest features. The Samsung store on Infibeam contains all type of mobiles including option for dual sim and single sim. If you are a big fan of Samsung mobiles, then Infibeam will surely become your favourite shopping portal. The assemblage of all the Samsung mobile contains Samsung Galaxy S8, Samsung Galaxy J7 and the never ending list goes on. The Samsung mobile phones are the best ones, if you are looking for durable product and don't spend much on mobile phones. Buy it once, and it would work for a long time. All the standard features like expandable memory, FM Radio, Blue-tooth connectivity and high quality primary camera are available in the Samsung handsets along with other features like robust battery, which could go on for hours and hours. 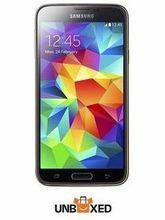 Buy Samsung Mobiles from Infibeam! Infibeam is one of the most popular online shopping destinations to buy Samsung mobiles. The portal, which is a fast growing e-commerce website, offers countless reasons to shop more. Apart from best prices and best selling products, Infibeam gives you facilities like cash on delivery, easy EMI options, credit card and debit card options, free shipping, fast delivery and more. Sensing the great demand of Samsung mobiles in the Indian market, Infibeam has created this dedicated store, where we regularly update all the best selling and latest Samsung mobiles. This could be your one-stop shop to explore Samsung mobiles, its excellent features and specifications. Alteration seems to be in the mood of changing the shopping world too. Yes, it's the online shopping, that seems to newly & frequently opted path, this days. Infibeam's online shopping & deal of the day, section is here to savour all the taste-buds of shoppers, that come in all shapes and sizes!